Have you been thinking about how to up your e-commerce game this year? 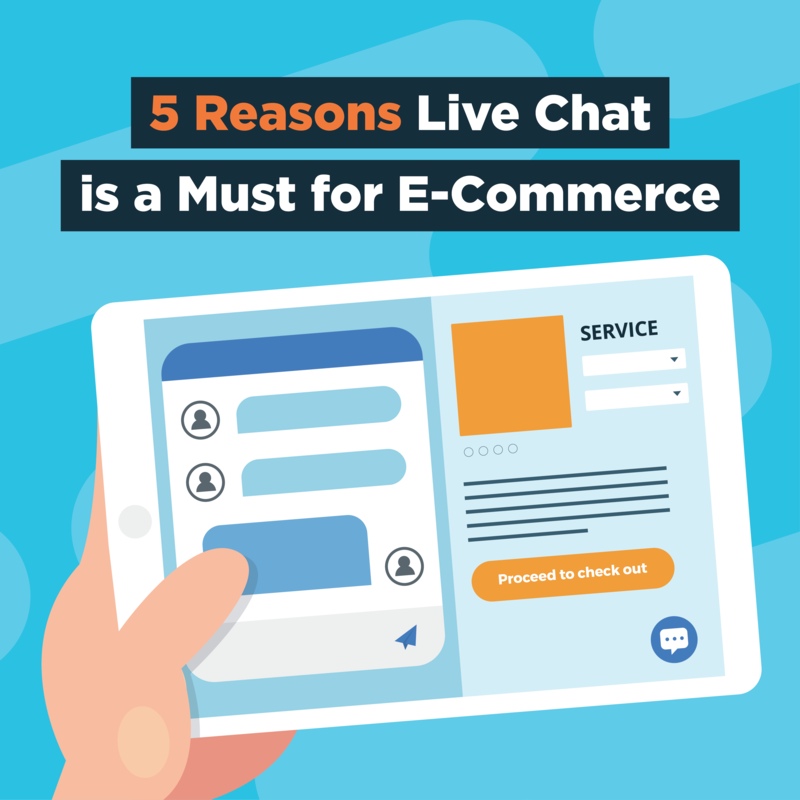 Read on for 5 reasons why we think live chat is key. Customers now expect quick responses to questions- expecting customers to wait on hold is a thing of the past. Live chat is a much better way to make sure customers can reach you right away. Basically, bad customer service is much more harmful than you think. With the rise of AI, a human touch will help you stand out. Live chat staffed with real agents 24/7 is key. Implementing a forward thinking strategy? Then learning the best way to serve millennials is crucial. 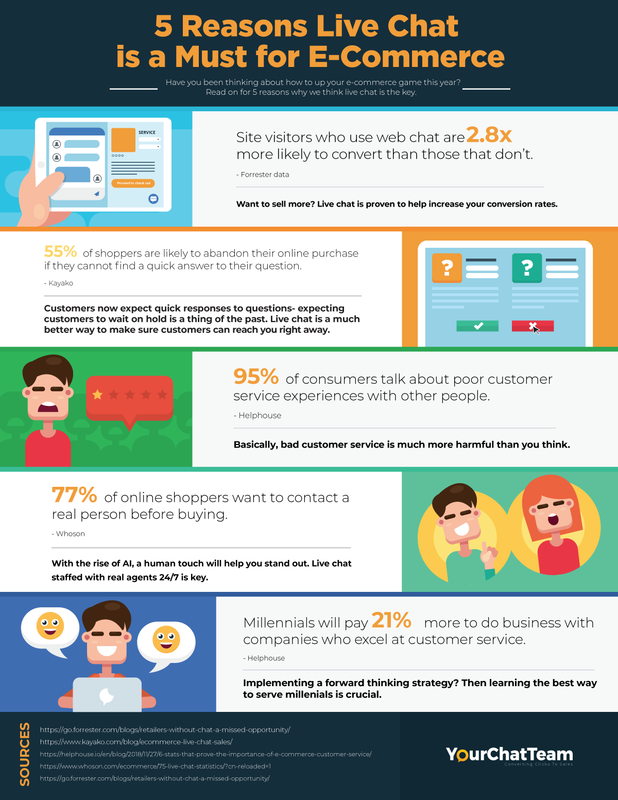 Not sure how live chat will work for your e-commerce business? Contact us today and we’ll have a specialist get in touch for a free consultation. © 2018 Concert 8 Solutions Inc. All Rights Reserved.